TV-Gate, AKA “The Case of the Disappearing Transom”, Has Been Solved! As one who tends to be-bop around the State House a fair amount in my capacity as press, it was inevitable that my sharp eyes would notice a wee lil change in the back of the Hall of Flags recently, to wit: A 46″ TELEVISION SET. Which according to BDN, set the Maine taxpayers back almost $1500 bucks. 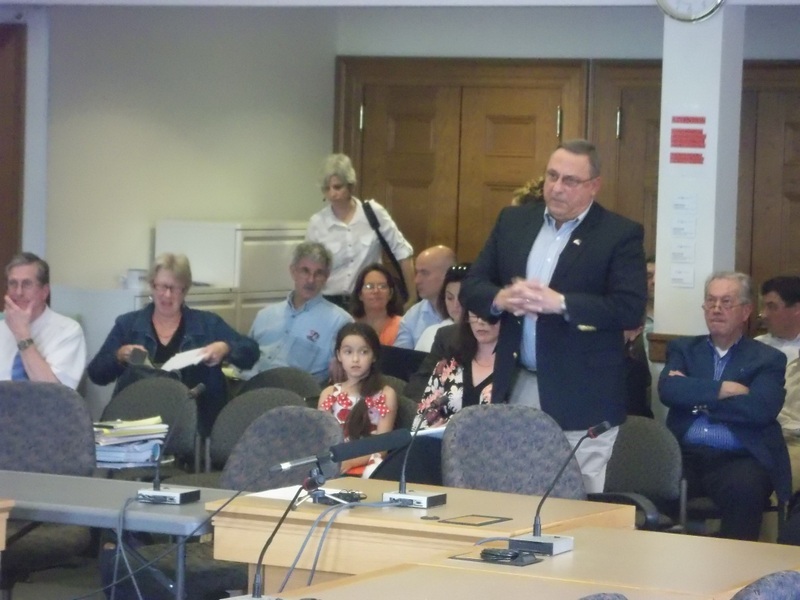 Apparently the new entertainment center of LePage’s was also noticed by the Legislative Council, who informed the Governor that he could not watch his soap operas out in the hallway at his leisure and that if he “wanted his M-TV”, it would have to be somewhere else. In fact, there is even a law about it. Who knew? As the final weeks of the State of Maine 126th Legislature approach, a disturbing trend is underway by Democratic Leadership within the walls of State House. For the second time this week, Democrats have attempted to silence the Governor and violate his right to freedom of speech. 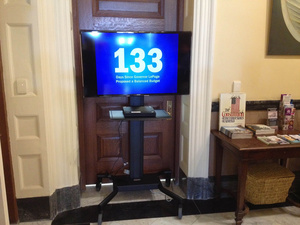 In their latest act of censorship, Democrats have told the Governor that he cannot have a television in the Office of the Governor lobby area, which is on the second floor of the State House. 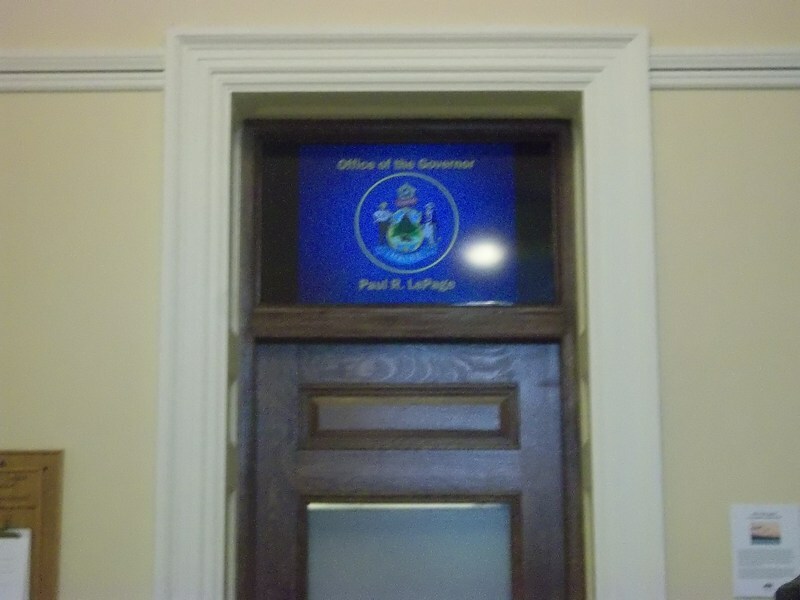 In a letter, Governor Paul R. LePage informed Democratic Leadership today that the television is placed in the reception area of the Governor’s Office. Senate President Justin Alfond today told Governor LePage in a morning meeting that he could not have the television on display. Well, at that point not just our local Maine news outlets but some national media picked up on the story, including Washington Post, Boston Globe, to name a few. 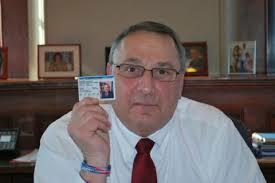 Wait a minute… did Governor LePage really just blame President Obama for TV-Gate? Oh, let’s look at that clip. All over a TV. Oh, and stifling the LePage Administration in their efforts to speak to the Appropriations Committee on matters pertaining to the current budget process. LePage compared Democrats’ refusal to let him address the committee to national controversies involving the Internal Revenue Service’s targeting of conservative groups, September’s terrorist attacks in Libya and the U.S. Department of Justice’s seizure of Associated Press emails. Blink. Is there anyone else concerned with the threatening tone here? Or has it just become acceptable pro forma practice within the Tea Party to threaten to shoot those politicians with whom one has a disagreement? 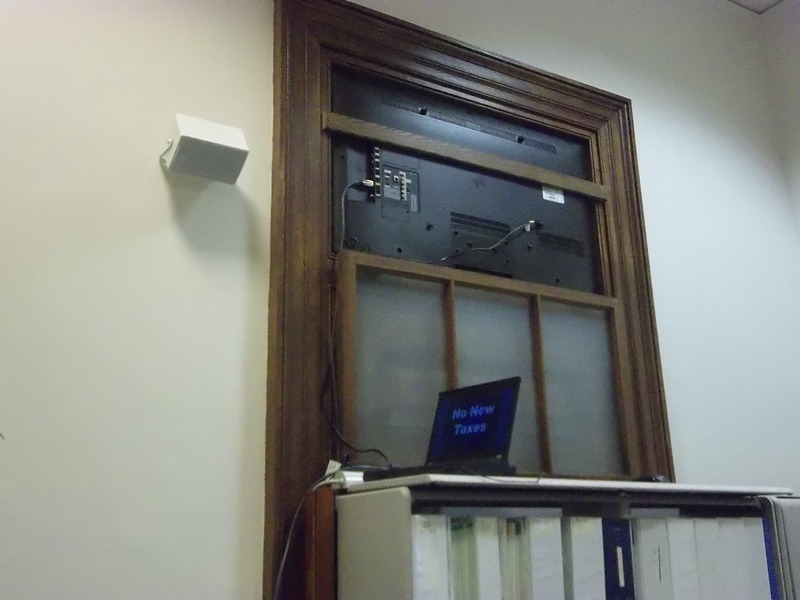 Determined to get his message out to folks one way or another, the Governor then ordered that his TV be placed in the transom window space above one of his office’s many doorways. Yet it did not stop the controversy, as some asked whether the historic nature of the State House was in some way violated by the removal of said transom to accommodate the television set. And asked if I could see the other side of the doorway. What I found- was that the transom windows are double-hinged. That the window was deliberately opened and folded down, as they are intended to do on occasion. That this doorway has been used as space for a large file cabinet and as such, presumably was previously cleared by the state fire marshall as not a necessary fire escape. I immediately decided to get to the heart of the matter and ask some hard-driving questions, to seek out the truth. It’s a technique press-like, journalistical people such as myself sometimes like to use. Sensing an opportunity, I requested to take a few photos, as to show the awful carnage and vast, wanton destruction of the People of Maine’s State House. SCOOP!! And now the mystery is solved. “vast, wanton destruction of the People of Maine’s State House.” O-boy, i’m not seeing it.